Read more about the Winners here. 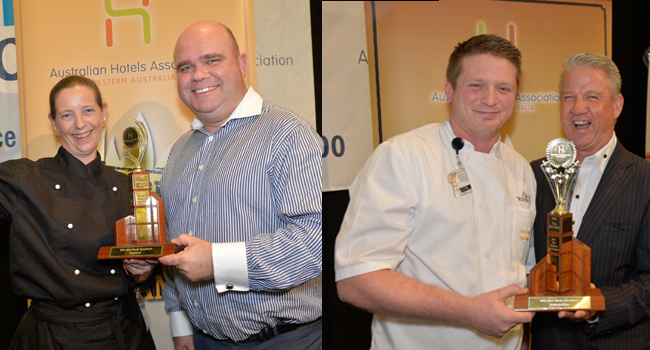 This was the eighth year of the AHA’s Annual Steak Sandwich Competition, recognising WA’s best Aussie icon! The ten finalists were determined by consumers through an online voting system. The competition was promoted through a variety of media including print, online, radio and on-premise throughout March and April. The metropolitan and regional winners receive automatic entry as a finalist in the AHA-Aon Hotel & Hospitality Awards for Excellence ‘WA’s Best Steak Sandwich’ category. 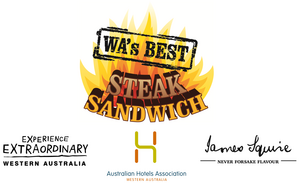 The overall winner of 2015 WA's Best Steak Sandwich will be announced on Monday 16 November at the AHA Awards night and gala ball.